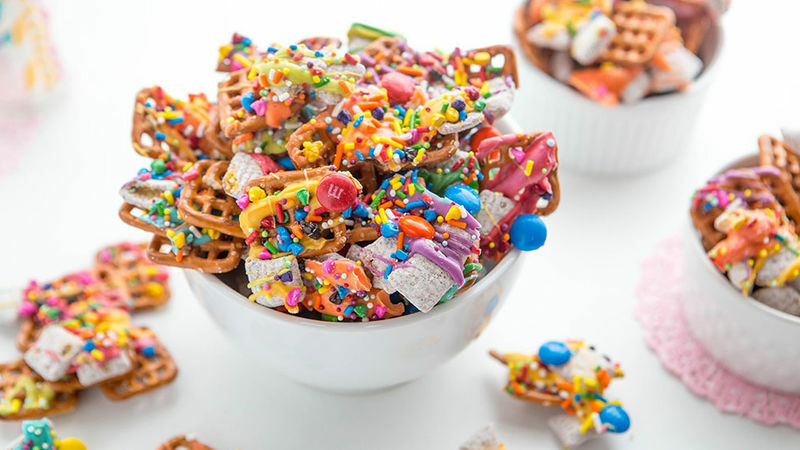 Every game-day party needs a big bowl of Chex mix. Here's our Top 15, so take your pick! Recipes for everyone’s favorite snack first started appearing on Chex™ cereal boxes in 1952, and it’s been a party staple ever since. It all started with the original recipe, and today there’s a flavor for everyone. (And they’re all seriously easy to make; for most you only need a microwave.) So don’t think twice—make the Chex™ mix. Good news: we have so many easy snack recipes.